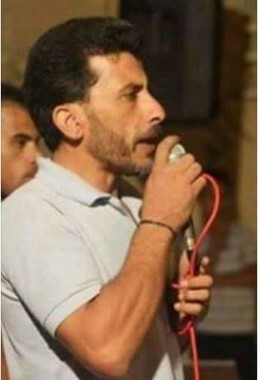 The Palestinian Detainees’ Committee (PPS) has reported, on Wednesday morning, that hunger-striking detainee Sami Janazra, has suspended his hunger strike, that lasted for 69 days protesting his Administrative Detention. The PPS said the detainee decided to suspend his strike, for seven days, awaiting the decision of the Israeli prosecution to either indict him, or renew his Administrative Detention. His decision was made after the Israeli Supreme Court decided, Tuesday, to delay the deliberations on his Defense Attorney’s appeal against the Administrative Detention order, in order to continue his interrogation, and examine the possibly for filing charges against him. The Palestinian Prisoners Society (PPS) said the latest developments are positive, as the Israeli prosecutor has been refusing to indict him, in order to keep him under Administrative Detention, under the pretext of a “secret file,” that neither the lawyer or the detainee can know its contents. The PPS added that Janazra intends to resume his strike should Israel decide to keep him under Administrative Detention, without charges. Janazra’s lawyer said the Israeli Prosecutor’s Office said, on Tuesday, that it received new information on the case, which requires resuming his interrogation, before deciding to hold him under Administrative Detention or take and alternative route. The detainee will be receiving liquids, including soups, in the coming seven days, and will like take supplements and vitamins. Janazra is from the al-Fawwar refugee camp, in Hebron.